- At the end, the Guest of Honor gets to keep their Glow Blaster! - Guest of honor gets a t-shirt, glow baton & Glow Blaster. Enjoy glow lighting and each child receives a glow necklace. Make the Glow Blaster a party favor for $8/child. The Go Glow! 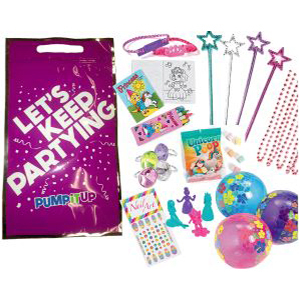 party add-on includes special lighting in every room, a glow baton for the birthday child and a glow necklace for each child at the party. Make this birthday party one to treasurrrre! 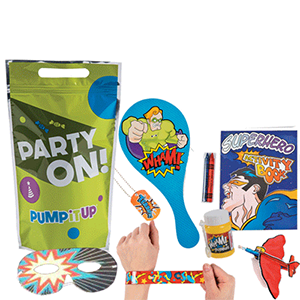 Become your birthday kid's hero with SUPER HERO goodie bag, filled with a slap bracelet, crayons, puzzles, bubbles, popping candy, dog tags, glyder, and a paddleboard. 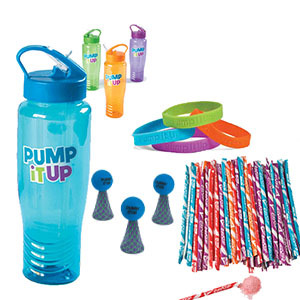 These BPA free, reusable water bottles include a foam finger rocket, Pixy Stix candy, and a silicone bracelet. Give our popular Glow Lumitons to all of your guests. They blink and flash in different colors. 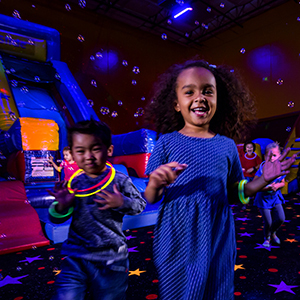 Or, for $8 each, our Glow Blasters are very popular! 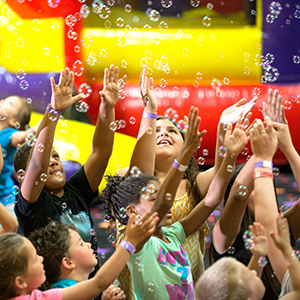 Congrats – you found the best kids birthday place in Chicago!